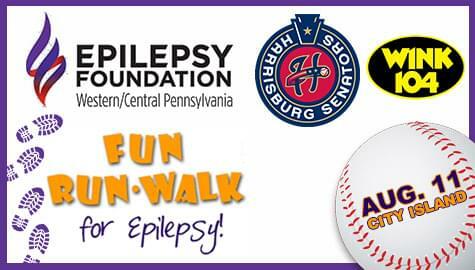 WINK 104 welcomes you to join Hollywood as he hosts the 16th Annual Harrisburg Senators Family Fun-Run Walk for Epilepsy! The event benefits the local epilepsy programs. It’s all happening August 11th on City Island.